Beautiful eyeglass frames displayed in all the newest ladies', men's, and children's styles. You may visit our supplier's web links below to preview many of our frames. Please come see us and "try on" your new style! 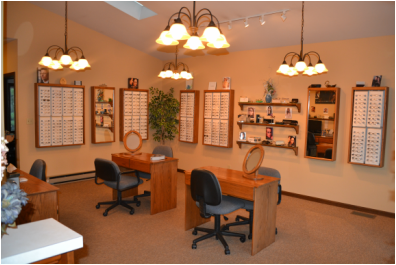 Our staff is always available to assist you in selecting your perfect glasses.